The aged look of Shabby Chic design. Shabby chic is a popular interior design style where furniture and furnishings are chosen because they show the wear and tear of aging. This is accomplished by selecting furniture that is already old or by taking new furniture and “distressing” it. If you plan on using pumpkins as part of your shabby chic Halloween décor, it may be necessary to whitewash them to achieve the look you want. Whitewashing pumpkins gives them a beautiful distressed look and the white color matches shabby chic décor much better than the bright orange of your typical plastic pumpkin. Plus, it’s a fun DIY project that won’t cost you an arm and a leg. 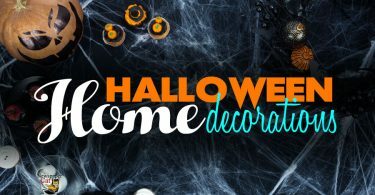 Here’s how to whitewash a plastic or foam pumpkin to match your shabby chic décor this Halloween season. Yep, you heard us right. If you want to turn your pumpkins white, start by painting them black. It may seem counterintuitive at first, but for a whitewashed pumpkin that works best with shabby chic décor styles, a black pumpkin is the best starting point. Why black? Because it takes a lot of white paint to cover a bright orange pumpkin, and we’re not looking for a solid white pumpkin anyway. What we want is a distressed, worn-looking pumpkin, not a big snowball. So start the whitewashing process by painting your entire pumpkin black with acrylic paint. Then, let it dry. Now that your pumpkins are black, it’s time to add some white paint and create the shabby chic distressed look. It’s usually best to use either white acrylic paint or a white chalk paint. How do you know which one to choose? In the end, it doesn’t matter all that much. A lot of people choose chalk paint because it tends to naturally give an aged look without too much effort. What’s more important isn’t the paint, but the way you apply it. You’ll want to use a sponge brush or paintbrush and keep the coats uneven. You don’t need to paint perfectly. In fact, you want to avoid it if possible. Let the paint run into the nooks and crannies of the pumpkin and leave it there. The more uneven you are, the more distressed the pumpkin will look in the end. Important: Don’t completely cover all the black paint with white or you’ll lose your shabby chic appearance. This third step is optional, but adding Mod Podge to your pumpkins can add a bit of extra shine that makes them appear more real. If you don’t care about having a more realistic appearance, you can skip this step. If you want to add Mod Podge, wait for your paint to dry and then cover the entire pumpkin in a single layer. If all goes well, it should dry completely clear. 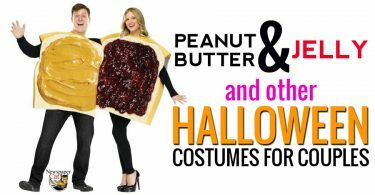 What you’re left with is a shabby chic pumpkin with a natural smooth and shiny sheen. Many plastic pumpkins you get at the craft store come with plastic stems. However, a wooden stem may match your shabby chic Halloween décor much better. If you want to add a wooden stem to your whitewashed pumpkins, you have a couple of options. You can look for a wooden stem at the craft store and simply swap it out with the plastic one, or you can find your own piece of wood and shape a stem yourself. 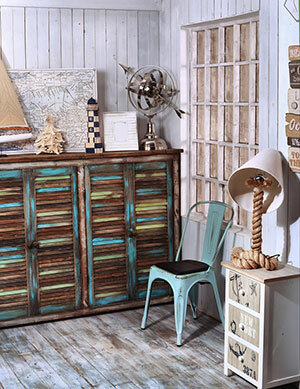 Driftwood is an awesome choice because it naturally appears distressed. It also has what we can only describe as “character”. Enjoy your pumpkins and have an incredible Halloween!